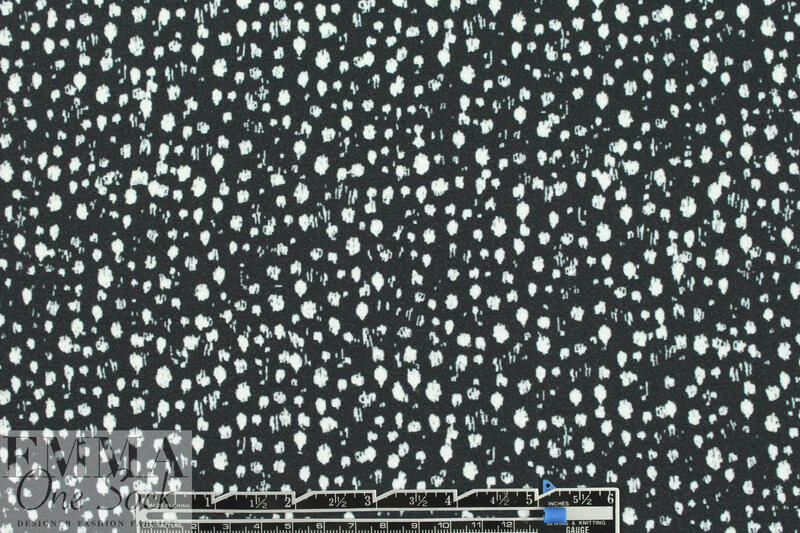 From Rebecca Tayl0r, this is a dotty print with on a wonderful new technology polyester woven that has a dimensional crepe texture with about 15% stretch in the width. It is lightweight yet nearly opaque, with a flowing, soft drape, a matte finish, and a crepe-textured surface. 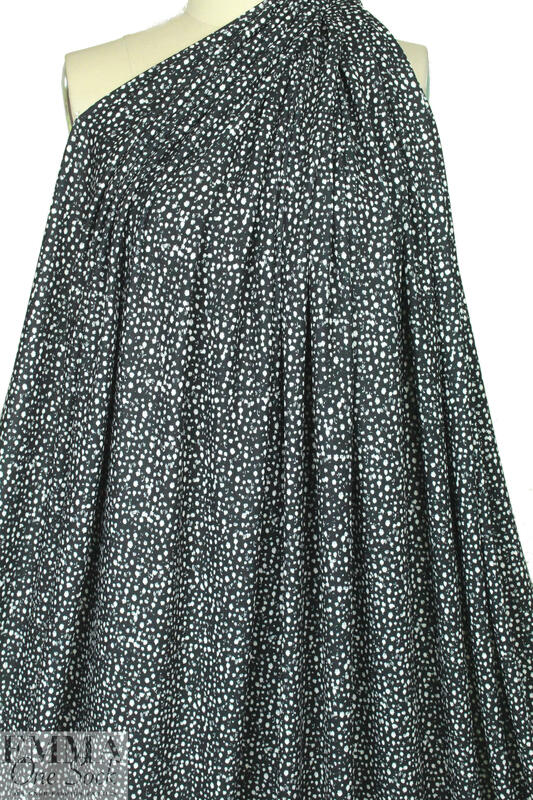 The print features off white speckles on a black ground. 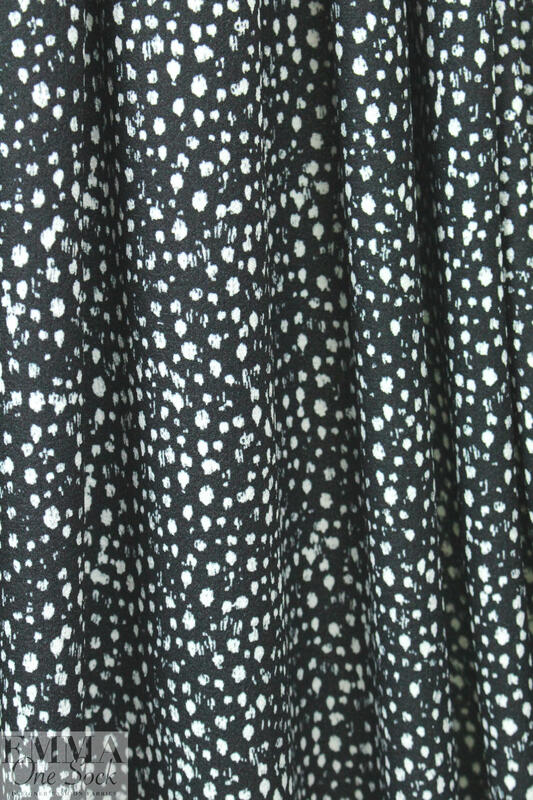 Perfect for a blouse, top, tunic, dress, drapey pants, etc. Hand or machine wash (please test first), hang to dry, or dry clean.